Queue up the latest recommended release of God of War 4 – PS4 Digital Code at Amazon! 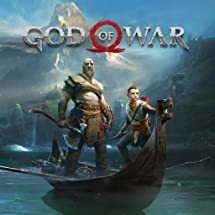 God of War 4 – PS4 Digital Code has a scheduled release date and time of April 20th 2018 at 12:00 AM PST! Previous PostPrevious PlayStation 4 Pro 1TB Limited Edition God of War Console Release Date, Pre-orders LIVE! Next PostNext BlazBlue Cross Tag Battle PS4 Nintendo Switch Pre-orders LIVE!